The Price Action Chronicles come in 2 volumes and covers a period from 23rd April 2007 until 2nd APRIL 2008 from early in the the end of the S&P 500 Bull Market until the bail out period where the FED stepped in to save the situation.Loads of examples and descriptive charts using our WaveTrader software. These volumes are as close as you will get to the real thing as they have been written from day to day over the subject period.The 2 volumes are a very cheap way of finding out if our method is suitable to you and if you want to make a career trading with a method that will work better than anything else you have ever experienced. If you are looking for reasons why you got caught in a severe market downturn these volumes will set you straight.Basically these volumes with real time examples of how we approach trading the ES on a day to day basis will show exactly the way we apply our software and our method to trading opportunity and also explains the logic to our ES trading approach. There is a bit of everything for everyone. THESE CHRONICLES WILL BE EXCELLENT FOLLOW UP MATERIAL FOR STUDENTS OF OUR PRICE ACTION TRADING MANUAL AS the S&P market traversed three major swings in a volatile trading range of over 300 points throughout the subject period. You will be able to see first hand how we evaluate the market on a day to day basis, whatever I wrote before the next days trading remains unedited as the Chronicles unfolded. I have been in the trading business in excess of 35 years with over 25 experience in the futures markets and I know the difference between good advice and the typical "snake oil" that is peddled around this industry. This site offers resources that can teach you to trade to win and give you an impressive edge in the market. If you are a professional trader or if you aspire to become one, there is something valuable for you here. Anything I am prepared to tell you is well worth listening to. I would go as far as to say that if I can't teach you to be a successful trader then no one else can. That's a promise. The first thing you need to learn to become a successful trader is risk control. Now I am semi retired I have had time to assemble some simple rules for new entrants to the trading business to follow for success. If you can believe I can identify 3 to 6 low risk trade entries per day which only require a 6 tick or less stop-loss you will be getting the picture of where I am coming from. If you can execute 3 to 6 trades a day with a price conscious discipline, the winners will surely far outweigh the losers and that is what trading is all about. I do not advocate getting into a position just to become cannon fodder for the masses. My strategy is to only take positions when I can identify the market is over balanced in one direction or the other and we use indicators combined with an exact geometry respected by the professional traders. There is a side element to all of this and it requires you to follow the news events of the day to aid in your success. Without the news you might as well cut your wrists. All the news and daily economic reports are relayed via cable TV either through FOX or Bloomberg so that is not a major problem if you want to follow my approach. The principles I teach require an intraday trading approach so you need to be sitting at your computer with your online trading platform engaged to take advantage of them. We trade opportunities and not forecasts. It is amazing how it all falls together each day when you know what you need to do and when to do it. Intraday trading is hard work in as much as it is time consuming, that is why the majority of people cannot do it correctly. You need to have a work ethic similar to a professional poker player, if you don't then you will never be in the right spot at the right time. Once you have experienced the way we go about trading you will understand why we are in the the majority of winners each day and not losers. Losing is not on our agenda. Historically, stock markets trend up or down on a month to month basis. Sometimes they trend up for longer and sometimes they trend down for longer. Nevertheless, they do exactly the same thing on a day to day basis and cover 10 times the ground won or lost on a month to month basis. If you can learn to buy or sell intraday when it is appropriate you can enjoy the opportunity to profit most days over a monthly trading range. Although I use the S&P market for all my examples, the method/approach is applicable to all markets. In 2007 I published my work on day trading principle under the title PRICE ACTION MANUAL. The trading set ups I describe in this book are the "nuts and bolts" for anyone who wants to become a professional trader. The PA book contains an approach to follow with the desire to make regular short term trades with a high probability of success. The criteria I recommend is to only take trades with a low exposure to risk - all the set ups I recommend are explained in the PA book. In fact, the bottom line approach is explained with an abundance of classic examples. The real test for any successful trader is being able to follow rules; with the 10+ trade set ups I describe in the PRICE ACTION MANUAL there is one for just about every possible market occasion. To learn my method you first have to understand that technical traders have rigid rules they will follow day in and day out. The endless possible combinations they trade off are impossible to track unless you have a mechanism to track them in time frames ranging from 5 minute bars and higher - usually 5, 10, 15, 30, 60 minute and daily patterns. This is where WaveTrader III comes to your aid. The daily market flow is normally dependent on market mood and yet this can change daily as well as intraday, but usually when an intraday market flow reverses direction there are always 3 or more reasons due to simple geometric price relationships forming between the swing progress and the chart patterns at the time. I can give you some examples here to get your interest but they will only be skimming the surface, you will have to study the bulk of my material to really understand the way you can utilize my method and the WaveTrader software to make a success day after day and week after week . My favorite trade set ups are my 1:1 set ups. Then I have combinations of XABCD swing geometry that is very important. I also have some trend filters that need to be understood if you want to pull it all altogether. I could show you thousands of examples where the market swings arrive at exact levels on a daily basis to indicate BUY or SELL signals either short term or longer term. There are breakout trades, breakback trades, distribution trades, accumulation trades and pure geometrically oriented reversal trades like 1:1's, combination retracements or combinations of a variety of the of my XABCD geometry. They all work with a high degree of repetition. The main point though is that you have to be there on the job to recognize them when they come along and then you won't have any reason to doubt them as they come to pass. My method is not about forecasting in anyway - it is about acting on the chart position when you get the right signals to make a trade. The really important thing about trading to win is that you have to make the decision to place a trade when you can see the right reason why it should be done. Do you want to ignore all the possibilities in the future or do you want to learn from a source who has already spent more years than you could imagine arriving at a procedure to implement the winning plan? Our WaveTrader software is the best tool for you to have if you want to succeed. There is no question about it. There is no other source of trading information out there to compete with it. IF YOU CANNOT DOWNLOAD FROM ONE HOSTING, PLEASE CHECK ANOTHER HOSTING! 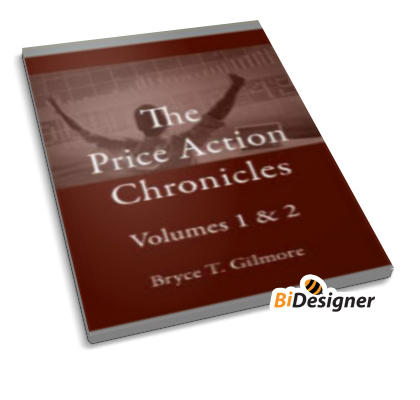 Bryce Gilmore The Price Action Chronicles Volumes 1 and 2 Download via Hotfile Rapidshare Fileserve Megaupload & FileSonic, Bryce Gilmore The Price Action Chronicles Volumes 1 and 2 free torrent downloads included crack, serial, keygen.